Like so many adult indulgences, Armenian coffee is an acquired taste -- and I'm glad I finally acquired it, although it's only an occasional treat now because I managed to consume about four lifetimes' worth of caffeine during my years in the newspaper business. Sadly, I squandered my ration by guzzling mug after mug of weak and tasteless American coffee made in machines where the water and coffee grounds pass by each other like strangers on fast-moving trains, never even getting friendly much less intimate. Properly made, Armenian coffee demands a bit more time and all of your attention. The result is definitely worthwhile. Truth in brewing: Everyone I knew as a kid, including my father, called it Turkish coffee. There's no point arguing about whether Armenians or Turks invented it because we'd both lose. Coffee was most likely brought to the Near East by the Arabs, who carried the beans from North Africa. The common element in coffee from Greece to the Middle East is that the beans are ground so finely that they turn nearly to powder. If you can't find the proper grind in a Middle Eastern store, you need to grind your own with a device that can produce the right consistency. Note: Do not substitute espresso. It won't taste right. Set the empty cups on a serving tray near the stove and place one cardamom pod or seed in each. Pour one cup of cold water in the pot for each cup of coffee. Add one level teaspoon of sugar for each cup of water and stir again. Keep an eye on the pot. In this case, a watched pot definitely WILL boil -- but an unwatched pot will boil over. Either way, you've ruined the coffee. Critical point: The coffee mixture will begin to foam when it heats. As it's about to boil, the foam will start to rise to the top of the pot. Take the pot off the heat. DO NOT let the coffee boil. Stir the coffee and place it back on the heat. Repeat at least once more. When the foam rises a third time, the coffee's ready. Pour a little coffee into each cup and continue until they're all full. (Don't fill one cup at a time or there may not be enough foam to go around.) Leave enough room at the top to add some of the foam. If the foam has dissipated before you're done, put the coffee back on the heat JUST until it foams again. Never add milk when serving -- but, for a rich variation, substitute cold milk for cold water for all or part of the recipe. Don't be alarmed if the bottom of your cup has a thick, muddy coating. That's normal. When you're done with the drinkable part, try turning the cup upside down (in a saucer, of course) and let the sludge coat the sides. In the Old Country, the wise old women could tell fortunes by "reading" the resulting patterns. If your fortune says you're entitled to another cup, just heat the remaining coffee. See how it's done by clicking here for our video. Back in the day when there was a Yugoslavia, we took a Yugoslavian freighter across the Atlantic. The crew served what they called "Turkish coffee" as opposed to "American coffee." The Turkish coffee was darker and richer than the American (which was still very strong and black for our taste). But the Turkish coffee did not have grounds or any kind of residue. Perhaps they filtered it? I don't know why anyone would strain the coffee, unless it's a local custom. Has anyone else heard of this? The video is wonderful. I felt like I was experiencing the whole coffee experience -- minus the wonderul aroma. I do this all the time with my great Grandparents' old coffee grinder. A brass one they brought with them from Turkey into Syria (and eventually to Canada)! perhaps i missed this somewhere in this blogs. the ingrediants in armenian coffee. just incase i did here is my grandmothers way of doing armenian coffee (soorj). my grandmother bought the coffe beans raw (green)they were cheeper if you bought them that way. then roasted them till almost brown/black but not black then its bitter. after grinding it into powder, she then added spices to it. cardamom main spice in armenian coffee, tiny pinch of baharat (allspaice) and (not all the time)pinch of cinnamon, then she made the coffee as shown in douglas's video. sorry for the misspelling. hope this helps. After reading this I MUST have some now. Next step is a trip to the store for the ingredients. I absolutely love your website. 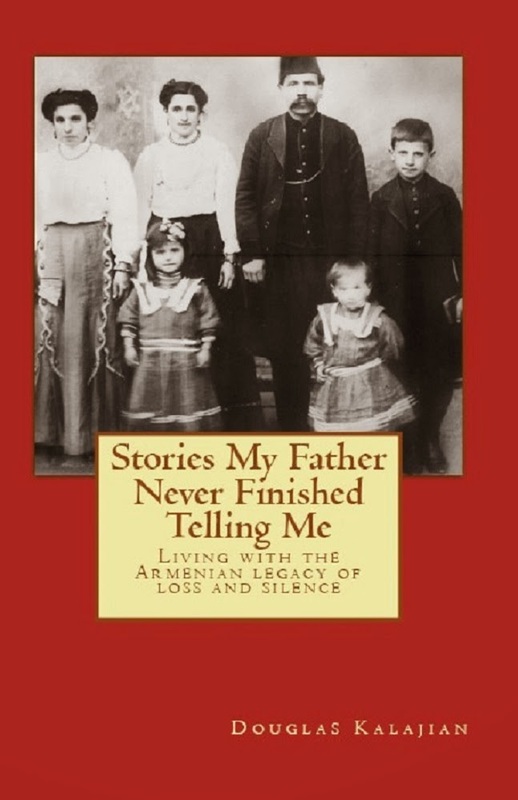 I'm far removed geographically from Armenian family and ethnic stores here in Northeast PA...but for a trip to Jersey or NYC. Thank you so much for bringing all these recipes to life in my kitchen. We're so glad to be of assistance! If you have any special requests, we'll do our best to fulfill them. I can't wait to try this, I love Armenian coffee! ha ha :)) but this is Turkish coffee.. Why armenians say that all things are armenian?? Why do turks think everything is there's I don't know - You turkish people are cruel. I'm pretty sure "meat on a stick" was invented about 20 minutes after fire. Where I'm from, we boil the water first, and when it comes to a boil, we add the coffee to it, then put it back on the fire till it foams. Both your recipe AND presentation are awesome! 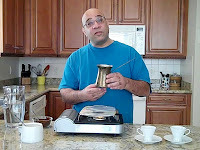 No other coffee recipe on youtube compares! Thanks for sharing it! This lovely gentleman states at the the beginning of his instructions that even his father called it Turkish coffee and that both Armenians and Turks claim it as their own. Why then must some of you be rude about it? Thank you for this wonderful information and demonstration! Ignore the trouble makers. Eench bess es? Great video and instructions! I am inheriting my grandmother's old coffee pot. :) I heard she use to call it a "jasba". I don't think it's an Armenian word though. What do you call the coffee pot? Um... TURKISH coffee... It's called Turkish Coffee EVERYWHERE in the world except for Armenia. Look it up. Oh and @ the last poster "Jesve" is the word you're looking for. It is also, as you suspected, not Armenian, but Turkish. Thank you for sharing the recipe. As a Turk myself, I would like to add that, you don't boil Turkish coffee, if you boil it you will get rid of the foam and without the foam it is not a proper "real" Turkish coffee. Also you don't add anyhting else apart from sugar, no cardamom, no cinnamon, definitely not milk etc. Our coffee making method is similar; start with cold water, add coffee and sugar, mix a little, just when it starts boiling remove from the heat, spoon off the foam to cups, put back it to heat a little more, just when it starts boiling remove it, pour it to cups, before you drink it you must wait alittle for the coffee grounds to settle at the bottom of the cups. If you boil it too much you won't have the foam, then it won't be Turkish coffee, it will be bitter Arabic coffee. There are so many things wrongly called Turkish coffee, so many people claim to make Turkish coffee, but not real Turkish coffee actually. Regards. 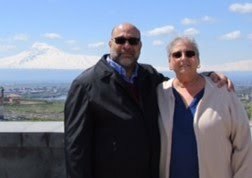 btw what turks are doing in armenian kitchen? make your own video and then comment on it. Thank you for sharing the recipe. 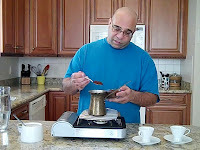 As a Turk myself, I would like to add that, you don't boil Turkish coffee, if you boil it you will get rid of the foam and without the foam it is not a proper "real" Turkish coffee. Also you don't add anyhting else apart from sugar, no cardamom, no cinnamon, definitely not milk etc. Much obliged to you for sharing the formula. As a Turk myself, I might want to include that, you don't bubble Turkish espresso, on the off chance that you bubble it you will dispose of the froth and without the froth it is not an appropriate "genuine" Turkish espresso. Likewise you don't include anyhting else separated from sugar, no cardamom, no cinnamon, unquestionably not drain and so on. Our espresso making technique is comparable; begin with icy water, include espresso and sugar, blend somewhat, exactly when it begins bubbling expel from the warmth, spoon off the froth to containers, set back it to warm somewhat more, exactly when it begins bubbling evacuate it, pour it to mugs, before you drink it you should sit tight alittle for the espresso beans to settle at the base of the glasses. In the event that you bubble it an excess of you won't have the froth, then it won't be Turkish espresso, it will be severe Arabic espresso. There are such a large number of things wrongly called Turkish espresso, such a variety of individuals claim to make Turkish espresso, yet not genuine Turkish espresso really. Respects.